I possess language teaching experience in a range of environments. In 2007, I spent three months in India working at the Italian Consulate of Kolkata where I organised and held an Italian language course for beginners. Additionally, in 2009, I was appointed by the Italian Ministry of Education to serve as an Italian language assistant in three Austrian high schools. On that occasion, I delivered Italian classes at various levels, from beginners to intermediate and advanced; I also planned teaching units and collaborated with Head Teachers. I assessed students during exams and requested feedback. Moreover, in 2012, I participated in the organisation of language classes as part of a project to teach Italian to a group of asylum seekers from Africa whose first language was French. I currently teach Italian to children and adults through various agencies in London. Finally, in March 2014 I completed the accredited DITALS II training course to teach Italian as a Foreign Language and in October 2014 I obtained the DITALS II qualification to teach Italian as a foreign language. My experience ranges from children to teenagers and adults. 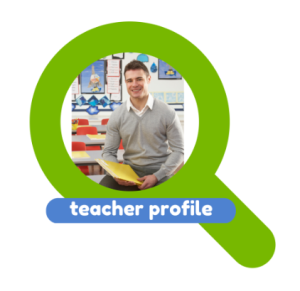 I have experience teaching to groups of people and on a 1:1 basis and I also used online platform to share teaching materials with students and for students’ self assessment. My approach to language teaching is mostly communicative with the creation of communicative situations where students can use their language skills in context and in real-life situations. With young children, I tend to integrate this method with a Total Physical Response approach. I have been a language student myself in the first place, therefore I am aware of the needs of students of foreign languages. I have a strong background in language acquisition and a strong knowledge of new technologies to make language learning an enjoyable process. I have a deep knowledge of the Italian culture, having been born and brought up in the South, but having studied in the North. I bring a lot of culture into the class, including books or movies or news and information about society in order to make language a less abstract entity for my students. I am patient and I truly enjoy exchanging opinions with my tutee. I think it offers a great possibility of personal growth other than cultural. Also, I taught myself english just by watching movies and listening to music, so I think I know the most effective ways to make a subject interesting and stimulating, by integrating it into the daily life. Ever since I was in middle school, I loved to tutor and help friends and family with school homework. At first, I did it for free, just because they asked me to but then, as the word spread, more and more people asked me to help them with different subjects and so what started as a simple favors exchanging became a sort of part-time job. I especially tutored in humanistic subjects (italian, philosophy and history) and languages (English and French). As I am really young and some of the people I helped were around my age or slightly younger, I tend to use a more relaxed approach and like to see my ‘students’ more as my pairs than actual students. I liked to interest them bringing new life to what they considered boring or difficult subjects and used any possible mean (tv-series, music, books, news) to stimulate their curiosity and keep them motivated to keep practicing on their own time. A girl I used to help with English, is now a tv-series lover and watch them in the original language with subtitles as I used to do when I was learning English; she gets amazing grades and gets more fluent day by day. But, most importantly, she enjoys doing it. I’m a qualified Italian Teacher and I have recently completed my teacher training at the Italian Cultural Institute in London. I’ve always been interested in other cultures, languages and countries that’s the reason why I have decided to take my graduation in Linguistic and Cultural Mediation, studying French, English and Arabic. I think that my enthusiasm in teaching Italian comes from the love for my country and the need to spread the main sides of our beautiful culture to people from different part of the world. The student during each lesson has to be actively involved in the process of learning through the use of authentic sources like songs, audio, video, games, etc.. in order to enjoy himself while learning. I’ve always had the idea that each student has to feel confident during the learning process and one of the most important things that a teacher has to do is to build with his students a sort of friendship in which they are not afraid to ask or make mistakes, they have to relax and don’t feel any kind of pressure. In my career as a teacher I have experienced each and every segment of the work starting from planning to assessing the course outcomes. What is so appealing to me about this job is that one works with but above all for people, getting to know their ways of learning, of interacting and of evolving, but at the same time it helps one get to know him/herself better as well, comparing themselves with one’s own strengths and weaknesses. As a teacher, I have always tried to present contents with different methods (visual and auditive especially at a basic level, situation-oriented, interactive-communicative, at upper ones), but I have also taken into consideration the importance of meta-cognitive strategies, peer-tutoring, cooperative learning, which are pivotal to set the best and most varied approaches and learning strategies during a lesson in a classroom and outside. teacher is anyway there ready to help. involving class-setting, where anybody can feel at ease and take part into lesson activities. Teaching and learning is a complex, delicate process that only takes place when it is based on a good interaction among partakers and when the atmosphere positively stimulates them to get involved. Learners need to trust their “guide” and feel they can express themselves, so I would tend to accept their participation and give the appropriate feedback, supporting and giving some advice if needed to further improve their skills and inform them about their progression routes. I am keen on studying and widening my teaching skills so I regularly attend courses to widen my competences and keep me updated. As you can see from my resumé, I graduated in 2006 with a Master Degree in Modern Foreign Languages and Literatures; last year I completed a Post-Graduate Teacher Training during which I had the chance to work as Teaching Assistant side by side to Mrs Salzano, an MFL teacher in charge of supervising and observing my training. Here in London, I attended a course about Behaviour Management in challenging classroom and I am in possess of the Enhanced CRB required to work with pupils. Among the other certifications I took a Certificate of Proficiency in English, the “Teaching Knowledge Test – Module 3 and “Teaching Knowledge Test – Clil” at the ESOL Cambridge University Local Examiner and School, “The British School” where I was given the chance to be part of the team as an English teacher for young learners and as an invigilator during ESOL exams. like Leonardo and/or Erasmus. Meanwhile I started cooperating for “The British School” as an MFL teacher and invigilator. Then, I was hired by a Primary School as an English teacher and after 3 years I was called from a State Secondary School in a near city to teach German language and civilization. At the end of 2013 I had also the chance to be hired as a Commissioner for Final State Exams (High School Diploma). Regarding the books, I tend to create a mix between some online sources, bespoke exercise and activities, and some books, like “Espresso”, “Noi”, “Italian Grammar Drills”, but I am always open to students’ input and so to sort fo create a “new formula” each time. Teaching and learning is a complex, delicate process that only takes place when it is based on a good interaction among partakers and when the atmosphere positively stimulates them to get involved. This is the reason why I always try to create a positive, cheerful, very engaging class-setting, where anybody can feel at ease and take part into lesson activities. The approach I tend to implement is the meta-cognitive where the learner is encouraged and actively engaged to explore and gaining self-awareness about his cognitive processes, thus developing autonomy of thoughts, independent judgement and recognition of their limits, abilities and chances. I have been working in the educational field for more than 15 years and I still think this is a challenging but very rewarding and enriching profession, and I really wish to put all my knowledge, skills and heart to good use to prove myself an efficient teacher. Spanish course in London – what to expect on the first evening? Students are not expected to have any knowledge of Spanish on the beginner classes, however they should be aware that the classes are full immersion and they will be contacted almost entirely in Spanish. Participants should only bring pen and paper, the tutor will provide materials and a classroom book will be recommended to the student. Learning a foreign language like Spanish is a great idea and getting acquainted with what to expect from the first lesson is of great significance. One can really feel challenged when they lack knowledge on what happens during their first Spanish evening classes. Just like other courses, being anxious and nervous is to be expected during the initial stages. As a beginner, there are a number of things to expect for Spanish evening courses in London. Usually on the very first evening, getting to know each other marks the start. In this case, each class member introduces themselves and can briefly state why they want to learn Spanish. The tutor also introduces him / herself in order to create awareness. Additionally, the teacher introduces the course in order for class members to have ample time following the outline. In general terms, Spanish basics are all what the first session entails. The very basic things taught include the ABC / alphabet as well as numbers. Some brief teaching on how to introduce oneself, passing greetings to others and asking some basic questions in Spanish language are also to be expected. This goes a long way in enhancing writing and speaking. No matter whether one is a beginner or already has some Spanish basics, all cases are treated equal. There are no assumptions that one has the knowledge on any expressions or phrases. The initial Spanish evening lessons involve learning all fundamental terms and phrases, including the most common ones. This way, someone who has no bit of Spanish knowledge gets to understand every aspect of the language. There are also instructions provided which are to be applied as one moves on. In order to learn fast, only Spanish language, which is the target foreign language is used through sessions. There are though cases in which English is required and one is never limited to using Spanish alone. It is however advised to stick to the target language so as to improve ones speaking skills. With all introductions met during the first evening, class members become more familiar with each other as well as their teacher. One also gets a hint of how the Spanish language classes and lessonswill be structured. Generally, there is no much of resource materials during the first session. This applies from the second lesson onwards through the course. With this information, one can thus be confident attending their first evening Spanish class. Say that you have put in the considerable effort necessary in getting your GCSE, a University Degree, or an A level in a particular language. However, actually learning a language is only the beginning, it is often just as difficult to keep your language skills from getting rusty. That’s because languages require immersion and constant use. Otherwise, you are apt to forget a lot of your vocabulary and also have problems retaining your fluency. That is where language conversation classes come in! Even if you live in a country where you cannot practice your second language, language conversation classes can help you practice your skills and make sure that they are not forgotten due to lack of use. Language conversation classes are also great for intermediate and advanced speakers looking for a less structured course. Often, at the advanced levels there are little alternatives but official courses designed to prepare students for some kind of accreditation, exam, or diploma. However, many people do not want that, they may simply want to practice their second language in a relaxed environment without the pressure of an examination. While you can do a lot of things to practice your skills on your own (for example, watching TV in a foreign language, watching foreign films, travelling frequently, and reading the news in a second language,) these kinds of activities are only effective up to a point. Eventually you are going to want to have real live speakers to interact with. While regular language conversation classes are often hard to find, speakers in London have access to a great service within easy reach. These kinds of courses will usually be quite open ended and will typically last from two to three months with one or two weekly sessions. They do not need to be too often as the whole point of language conversation classes is simply to practice an already acquired skill, rather than learning a whole new language. Because of this, they are often also considerably more accessible than traditional language courses. Best of all, language conversation classes tend to be a lot of fun, more of a guided social gathering where you will meet interesting people, learn new things, and practice fun activities while at the same time keeping your second language skills from stagnating. Remember constant practice is the best way to keep your acquired language skills polished. Do not let your years of hard work go to waste because of lack of practice, look for a language conversation class today! The Language class and German courses. As for all other languages we also teach German in the evening at our classroom in Aldgate east. Our lessons run from 7 pm till 9 pm and they are held once a week at our classroom in the city. Student come to learn German for various reasons, many want to take advantage of the dynamical German economy so learning this popular modern European language will open many possibility for employment. Also many people applying for work in Germany now they they to demonstrate to have a basic ability in the German language at least at A1 level, therefore studying the language has become more essential than ever. Here at the language class we will be able to help so you can learn the basics and obtain your visa to live and work in Germany. The European Frame work for languages and the German language. The A1 requirement refers to the European framework for languages. This is a set of level specified by the European community in determine the level of proficiency that people can achieve. A1 and A2 are refereed as the beginner levels, each level is about 100 hours of learning material, the 100 hours are normally composed of classroom hours, and self study. The next levels are the B1 and B2, or the intermediate levels, from this stage the German student will start to be independent so he or she can learn faster on their own. The advanced levels are classified as C1 and C2, and at this stage the students have mastered the language and have specific knowledge in terms of vocabulary and proficient use of the German grammar. We organise evening courses to help you to learn and master the language of your choice, so if decide to do one of our courses at beginner level you will learn the alphabet, numbers, the differences between masculine and feminine, the German cases, and many popular verbs at the present tense. As you go along you will learn irregular verbs and the past tenses. All our classes are aimed to develop the oral ability in the students, with our communicative method you will speaking the language from the first lessons. If you require a teacher for private lessons we can take care of that and one of our qualified teacher will come to your house of office to teach the language. Private classes can be also taken here at our classroom. Timing is totally flexible and you can decide when to take the lessons directly with the teacher, a 24 hour cancellation notice is always recommend, so the teacher will not charge for the lesson. The Language class and our French lessons. The French language is one of the most studied languages in the UK as some of our students have already done some French when they were at school. They come to us to do some refresher classes in the evening or during the daytime as they take intensive courses. Of you course if you are beginner we can also help you to build your ability from scratch. We only employ native French tutor with at least a degree in humanities, they are all CRB screened and they have been carefully selected by our school according strict parameters. Most of out teacher have been trained at the International House and they have graduated from their CLTA courses which enables them to teach French as a second language. What is my level in French? Many people phone or email us to ask about their level. It is very difficult to determine someone level by judging from email or a quick phone call, we also recommend to take an appointing and come to a forma level check at the class, so we can determine your level with accuracy. If you have learn some French at school at GCSE or A Level and you have used it occasionally for travel you might be ok to start from the A2 level (false beginner), otherwise if you are rusty or never done any French before it is better to start from the A1 Level which is the total beginner level. If you decide not to start from the beginner level A1please bear in mind that in our classes you are expected to participate actively in the class and you should be able to understand at least the basic commands of the teacher. Evening, Weekend, or intensive French courses, when is best for me? It is totally up to you to find the right and most suitable course for you. Beginner French evening course and Saturday classes will have approximately the same lenght in number of hours, and the content (syllabus) will be very similar. In fact it is only the time of delivery of the course that changes. What will I learn in the 10 weeks, French evening course? In the 10 week we will aim to to introduce you to the basic of the French language and you will learn, greetings, how to introduce yourself, ask direction, order food at the restaurant, describe yourself and your friends. Bear in mind that learning a language is on going process and it requires a certain degree of motivation. Of course our lessons put you in the right direction and you can continue for as long as you want with us. How long does it take before I am fluent in French? This is a very difficult question to answer as everyone’s learning pattern is different. Some people acquire languages very quickly other people need more time. This has to do with your general educational background, your age, past experiences in learning French or even other languages, and of course the time your are prepared to invest in this task.